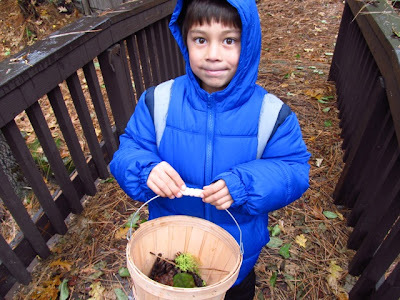 Backyard Nature Fun activities are quick-and-simple ways to explore nature in your own backyard. During our Thanksgiving stay in Yosemite, we were already thinking about Christmas. In fact, we turned one of many nature walks around the cabin into a gathering of goodies from nature to make our own holiday ornaments. This make-your-own craft is about as simple as it gets; all you need are some clear ball ornaments (which you can find in most craft stores this time of year) and favorite bits from nature. The fun comes in the gathering, of course. Choosing just the right items – those that are small enough to fit in the top of the ornament, colorful, interesting and special to your little ones. We had even more fun deciding which items to put in which ornaments, adding bits of color and texture to keep it interesting. We added a ribbon to the top of each to hang on our Christmas tree. Our finished products are unique reminders of our time in Yosemite. 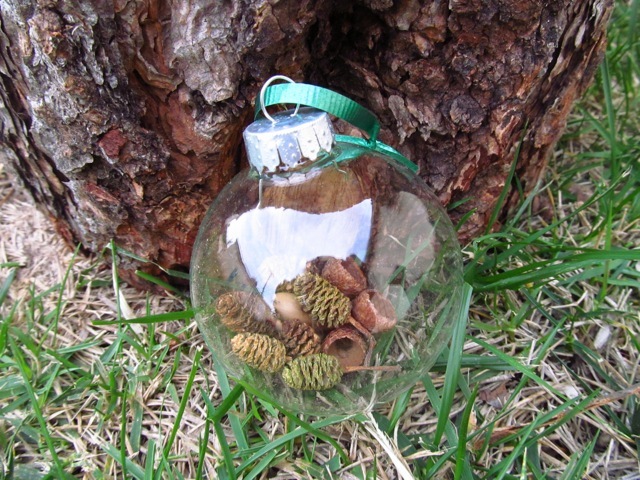 What I love about this idea is that making hand-made ornaments need not be limited to the holidays. 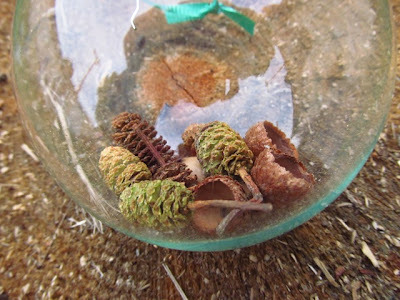 Ornaments can be a great way to preserve items from nature gathered on adventures throughout the year. Choose elements that last. 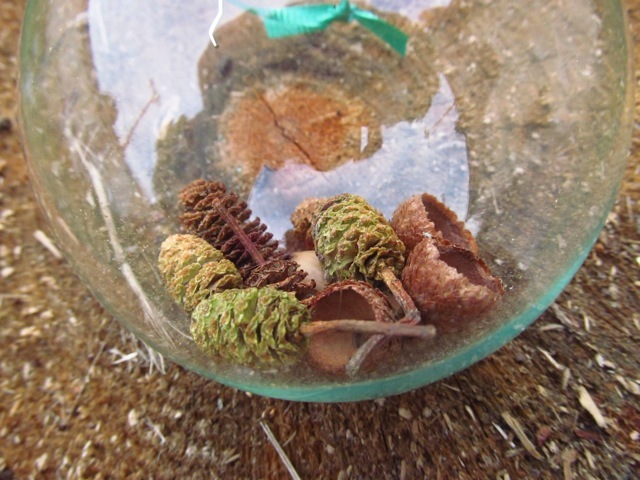 Say no to flower petals (unless they’re dried first) and yes to small pine cones and acorns. Add special details. If you want to get fancy, include the location where your items from nature were gathered and when.